Keeping a house or locality clean is a tough task when something disastrous happens. At such points you need to get some expert help for restoring the damage such as fire damage, water damage, mold remediation, storm damage and many more. 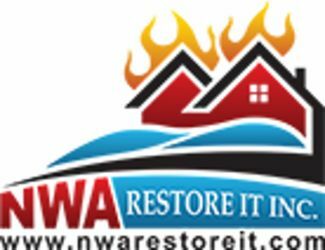 Apart from that you can also call for expert help for cleaning and damage restoration of your house so that you get a safe and healthy environment to live in and for getting the job done you can always rely on the experts of NWA Restore It where the staffs are highly experienced with proper training in field.